He has heard from Xavier, Kansas State, New Mexico State, and Kansas, no offers yet. He went to an Illinois game and loved the atmosphere. He also said this time around recruitment he is looking for a good academic fit, and a lot of minutes. He said he doesn't care about the level as long as he gets those two things. He also said he is still in contact with ISU and still has a lot of respect for the Birds. It aint over tell its over! D&B Jans can recruit with the best of them. Brucey would love to have him in the Little Apple. Best of luck to Chris on his college choice. Quick, delete all of crazzy's posts! Come on Chris, reconsider ISU. They are on the brink of something special and a player like you could play a major role. I am sure you realize that but from a life long resident of Bloomington, I'd love to be able to watch it happen with homegrown talent. 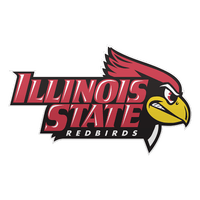 I think that the only way he comes to ISU at this point is if he waits until spring next year, and we have a year that includes the NCAA tourney. Not sure about NCAA rules on recruits playing against current college players during the summer. Did Payton play in pickup games against the Birds last summer? If so, will he be doing the same this summer? Would really help to get him close to the recruits we have coming in this year, which could hopefully get him to recommit to Dan. No rules as long as it's not a "sanctioned" practice by coach Muller and he isn't there. I'm sure if he goes on his own he could use the facility with the players. The guys play pickup practically all summer at Redbird/Horton. I went to watch one years ago, those are a lot of fun to watch. This instance probably comes down to a "want." Do the players want Chris to play with them knowing he may not end up being a Redbird after committing once before. I’m hoping that his reason for de-committing was that he was not confident with what the team had coming back for the 2019-20 season. Now 2019-20 is looking much brighter. My guess is that the players would be happy to have him participate in summer pickup games and the opportunity to convince him to re-commit. Which brings up another question: Can the players try an get him to re-commit to the Redbirds, or is that an NCAA violation? I'm guessing that's pretty foggy. I'm pretty sure players are allowed to recruit privately because there is no way to police it. Like, I'm sure most of the team at this point has Payton's phone number and could send him some texts encouraging him to come to ISU. I don't know, just guess work. From my limited understanding of the subject, I doubt there would be much (if any) ill will towards Payton from current players. I think they're all trying to put themselves in the best position to succeed, and I think they'd understand where Payton was coming from when he decided to seek greener pastures. I think they'd welcome him back with open arms knowing the kind of player he is. The problem with that is the fall signing period is 11/14-11/21. Only a couple of games will be played by that point. I don't think he waits until the April 17th-May15th signing period when he's already a senior. But, who knows. I bet he signs somewhere in the fall. If I'm a student athlete, I would want to get that out of the way as soon as possible so I could focus on my last HS season. Chris lost Prom King. Must have been a slow news day for the Pantagraph. So last year he got offered by Illinois. He verbally committed to us, then decommited. From what I know, U of I hasn't offered again? Or does he still have that offer? Just wondering why they wouldn't still want him? What are chances he recommits? I think theyre pretty good considering he's not been playing much in AAU last time I heard, nobody bigger seems to be all that interested, and they landed some good recruits. I think it's still possible. The big thing is winning our first few games before national signing day. Show him that the team is better than that team that lost to Charleston Southern, and by a combined 60+ points to Boise State and Nevada. Also, our freshman class for next year is zero, and With Boogie, MY, Key, and Phil out, he could step right in. He seems to be falling in the national rankings so that could work for ISU.